Don’t forget to join us on May 8th for the next installment of the ECDLS! Please join The National Center on Quality Teaching and Learning and the University of Washington College of Education for an exciting lecture series where nationally recognized early childhood researchers and leaders share their expertise and passion. You won’t want to miss the chance to learn the latest research and innovative practice in early learning! We hope to see you at the third lecture of the 2013 series where Dr. Doug Clements will present The Building Blocks of Mathon May 8th, from 7-9pm in Kane Hall 220. In this lecture, Dr. Clements will summarize recent research and development work around early childhood math, including works he helped write — the National Research Council report on early childhood mathematics; the report of President Bush’s National Math Advisory Panel; and the Common Core. One effective instructional approach featured in all of these is basing instruction on learning trajectories, and this approach will be illustrated through a set of NSF and IES (U.S. Dept. of Education) funded projects. Please see the attached flier for information regarding the remaining installments in the 2013 series. This series is free and open to the public, so be sure to tell your colleagues in the early learning and K-3 communities! A question and answer session will follow each lecture. Register for free here to save your seat as well as to receive updates and notifications regarding this event (including cancellation due to inclement weather). Through a combination of lectures, special guest lectures, and time outside the classroom (yeah! ), we will engage in the ecology of wildlife populations and understand why species face the threat of extinction and review the main threats to species conservation (e.g. habitat loss and fragmentation, invasive species, pollution, overharvesting, climate change, among others). Come and learn about the natural world! Having trouble displaying this message? Click here. UWAB Faculty Member Eric Agol Discovers Smallest Potentially Habitable Exoplanet Yet! Last week, NASA’s Kepler space telescope team announced the discovery of three “super-Earth” sized planets in the habitable zone, or the area surrounding a star where liquid water may potentially be found. One of these planets, Kepler-62f, was discovered by UWAB’s very own Eric Agol—an associate professor in the UW astronomy department—with help from postdoctoral researcher, Brian Lee. 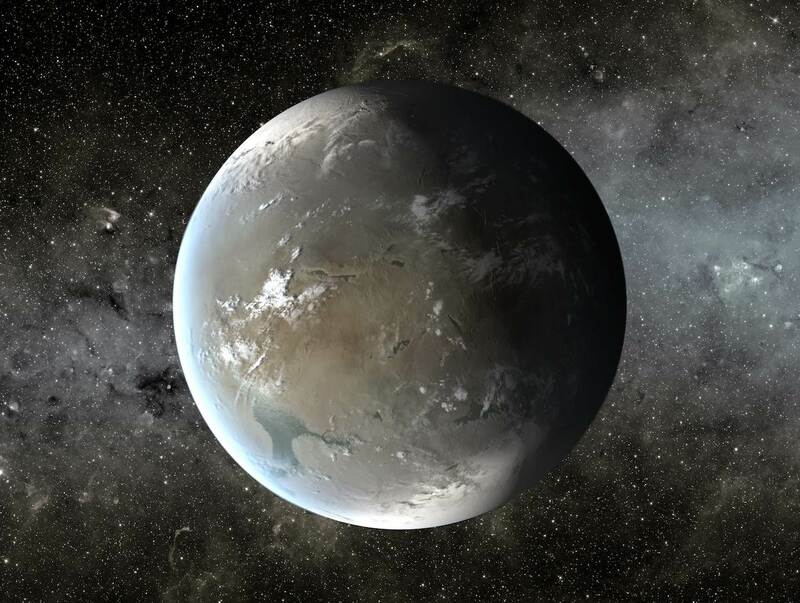 With its relatively small size, 1.4 times the Earth’s radius, and its position squarely within the habitable zone of its star, Kepler 62f is arguably the most potentially habitable planet yet discovered. The paper documenting the discovery was published on April 18th, 2013 in Science Express, the online version of the journal Science.